Home » General Health » Understanding Viremia: Can It Be Contagious? Understanding Viremia: Can It Be Contagious? 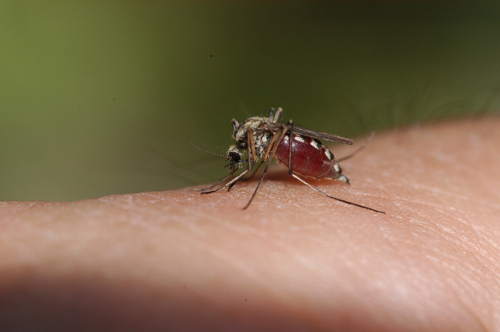 A viral invader can enter your bloodstream with the simplest incident of a mosquito bite. Viremia may produce mild conditions that can be resolved with easy treatment, or it may lead to more serious health complications that require major therapy and management. As the blood travels to various parts of the body, it can create a vast environment for the virus to take hold. We will learn about this viral condition and what steps need to be taken, if any, to avoid the spread of the virus. Before we learn about the symptoms to watch for, let’s discuss the viremia definition. Viremia is a condition where a virus enters the bloodstream. It needs only a small cut, wound, or opening of the skin surface to invade the bloodstream. This can be a serious and damaging situation, as the blood flow will carry the virus to numerous tissues and organs throughout the body. Of the two forms of viremia, primary and secondary, the primary is the lesser evil as it sees the virus affect the blood at point of entry. The secondary form causes disturbance to neighboring organ systems and their respective tissues. Viremia can then be categorized as active or passive in nature. An active viremia is present with the reproduction of the virus once it enters the bloodstream, such as with measles. In this case, the initial virus attacks the respiratory tract epithelial lining before attaching to the cell basal layer and affecting the blood vessels and capillaries. A passive form sees the entrance of the virus without any help or replication. This can be seen with the effect of a mosquito bite. It is instantly injected into the bloodstream and immediately begins spreading. What Are the Causes of Viremia? As stated, the virus commonly enters the bloodstream through an opening of the skin by a cut, wound, or scrape. There are many ways for this to happen, whether it is through an insect bite, contaminated needle, or blood transfusion. In order to determine whether the person affected by viremia is contagious, we must know and understand the cause behind the infection. The incubation period, when the person is contagious for diseases like chickenpox, refers to the time between exposure to the infection and when the symptoms start to occur. At this time, the virus is replicating and can affect other areas of the body, eventually triggering signs of acute infection like aches and pains and fever. The early symptoms are referred to as the prodrome stage, and they often indicate the upcoming severe complications of rash and hemorrhagic fever. A viral incubation time varies from one day to a few years. A shorter time usually indicates an infection at the site of entry, whereas any symptoms that take a long time to appear represent issues elsewhere. It should be noted that some viral diseases are not contagious during the incubation stage, such as Ebola. For a viremia treatment, most types of the virus need to be addressed with anti-viral medication. As we know, not all virus conditions respond to medical therapy. For those situations, we need to turn to managing the symptoms while the body fights the infection. Through management, the medical team will monitor the amount and severity of the viruses present in the blood. Because viremia refers the presence of an unspecified virus in the bloodstream, any part of the body can become affected. There are dozens of blood viruses, such as the human immunodeficiency virus (HIV), that can lead to several complications. The type of virus dictates the incubation period and the symptoms that follow. It can be tricky as some viruses do not offer any symptoms to suggest an infection is stirring. There are some viruses that can be treated with medical intervention, while others require monitoring of symptoms. “What are the incubation periods for infections?” NHS Choices; http://www.nhs.uk/chq/Pages/1064.aspx?CategoryID=200&, last accessed June 20, 2017. “How long is someone infectious after a viral infection?” NHS Choices; http://www.nhs.uk/chq/Pages/1068.aspx?CategoryID=200&SubCategoryID=200, last accessed June 20, 2017. “The Incubation Period Of a Viral Infection,” Virology Blog, October 8, 2014; http://www.virology.ws/2014/10/08/the-incubation-period-of-a-viral-infection/, last accessed June 20, 2017.